Found 5 file extension associations related to Flare for Mac and 2 file formats developed specifically for use with Flare for Mac. 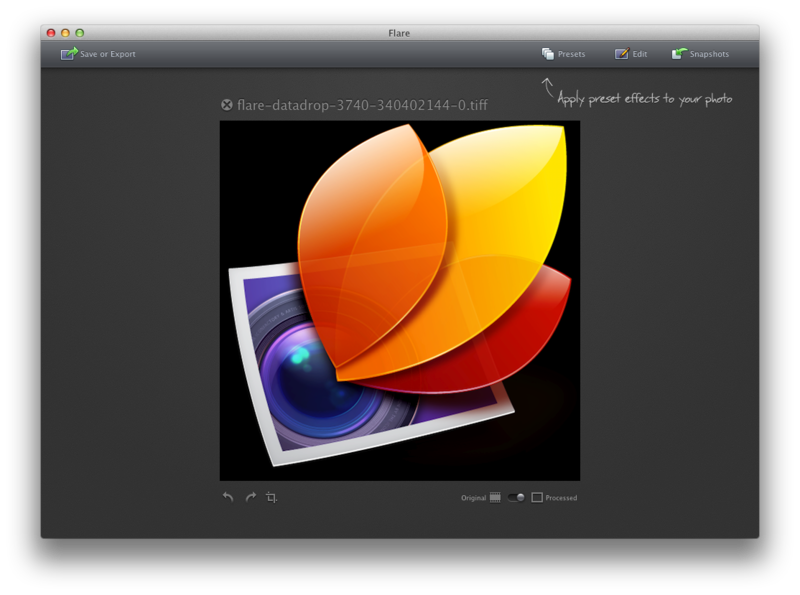 Flare for Mac is graphic editor used to add effects and adjusting images and photos. Effortlessly add effects and textures to your photos. Choose from a variety of Flare’s built-in Presets or create your own using dozens of individual photographic effects. Easy to learn for casual hobbyists, Flare also has the flexibility professional photographers need. If you need more information please contact the developers of Flare for Mac (The Iconfactory), or check out their product website.